Join us for two days of conversation, stories, and action. We will be discussing the punishing policies making life tougher for those out of work, and living in poverty, and how we can struggle for justice and respect. We will focus on the voices of welfare recipients, whose views have been ignored for too long. 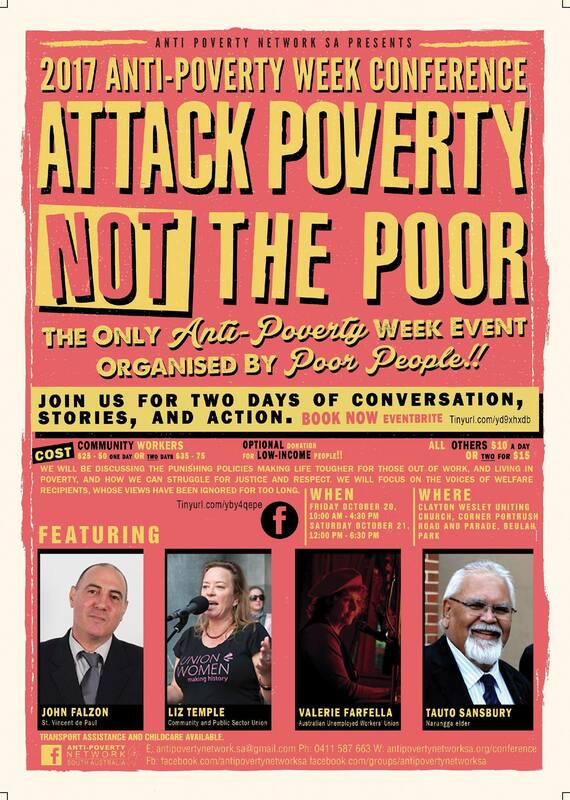 Featuring Dr. John Falzon from St. Vincent de Paul, plus speakers from Auckland Action Against Poverty, Australian Unemployed Workers' Union, Australian United Sole Parents Network, and more. TRANSPORT ASSISTANCE and CHILDCARE available.